Wednesday, May 1st is a holiday here in Costa Rica. It is Labor Day here and almost everywhere else in the world except the USA. School is out so we take a drive and everywhere these trees are bursting with bright yellow flowers. Everything else is dry and brown and you can spot them hundreds of yards down the road. 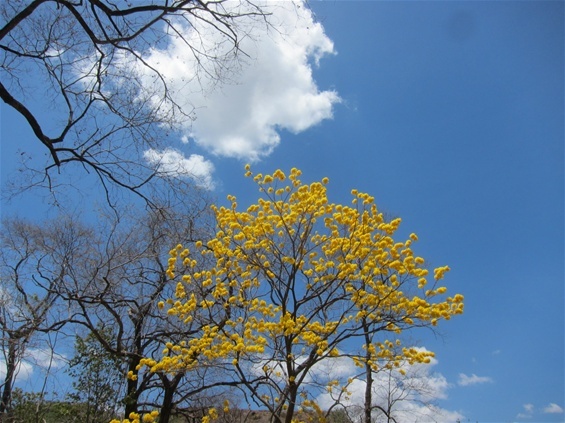 These are called Corteza Trees. There are pink ones called Roble de Sabana and orange ones called Poro.